You’ve got to wonder why Warner Bros. is having so much trouble with The Flash. The character has seen tremendous success on television lately and has been a fan-favorite almost ever since he debuted in the comics back in the 40s. So, why has the studio’s big screen solo outing for the hero not been able to get off the ground? That’s a good question, as numerous directors have come and gone and the rumors surrounding the project haven’t painted a very promising picture thus far. Thankfully, that all changes today, with the first positive update we’ve seen in a long time arriving via Reddit. 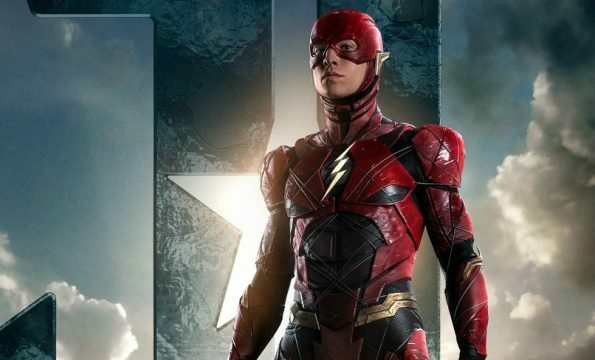 As with all rumors posted to the social media platform, we’d suggest taking this with a grain of salt, but for what it’s worth, the report (the same one that also brought us exciting news on The Batman and Aquaman) has nothing but good things to say about The Flash. In fact, if it’s to be believed, that’s not even what the film will be called anymore, as apparently, it’s been renamed The Scarlet Speedster. Beyond that, the Reddit user reveals that though the script went through many, many drafts, it’s now been completed and the studio’s very pleased with what they have, calling the film a “perfect coming of age story regarding a young man trying to control his power.” We don’t have too many details on the plot, but from what we understand, it was “heavily” influenced by a specific story from the comics. What that may be, however, is anyone’s guess at this point. Not too long ago, we heard that Robert Zemeckis was close to signing on to direct, and if that ends up happening, things should start to come together pretty quickly. As such, we expect to start learning more about what’s in store for the Fastest Man Alive quite soon. For now though, this Reddit rumor is definitely promising and we’re hoping that there’s some truth to it. After all, things look like they’re finally turning around for the DC Extended Universe and a well executed solo outing for The Flash, perhaps one that even rivals the TV show, would give the studio another big win with fans.